Home Local Magistrate tells NIB to GET THE HELL OUT OF HER COURTROOM! Magistrate tells NIB to GET THE HELL OUT OF HER COURTROOM! NIB head office on Blue Hill Road. — Bahamas Press is investigating an ongoing and serious set of SCANDALOUS events that are now emanating out of the National Insurance Board [NIB] and from what we now know someone, and we mean someone in authority, has plenty explaining to do to the people before the next shoe “drop”. 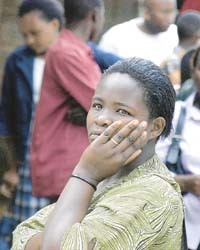 As if the hardships were not enough; the unbearable taxes, the exorbitant electricity cost, the stagnant wages, and the rising cost of fuel and shall we also say the overly expensive food, which is stifling the pockets of so many unsuspecting Bahamian families who are struggling to make ends meet. Today, Bahamas Press has a new set of damning information, which points to and concludes that in addition to handicapping Peter, Paul, and Mary, a new and dangerous attack, against struggling and just-scraping-along small-man businesses, are being targeted by the NIB Board. We now wonder, why now and for what reason, does the Board have its cross-hairs and sniper like economic stranglehold playing out against these barely hopping-along Bahamian businesses? Who has authorized these targets and what is the agenda at hand? Who is ordering these economic assaults against the Bahamian people? Algernon Cargill, Managing Director at NIB. Now you would remember that NIB previously increased burdensome contributions in January of this year. 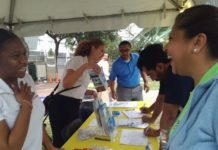 How come there are so many TAXES in this seeming to never end economic downturn that has wreaked havoc in the cupboards, refrigerators, savings accounts, and future growth of so many ordinary Bahamians. Someone seems hell bent on destroying the small man and what is left of the Bahamian middle class. We wonder who? Because even a blind man could see and feel how tough things are around our Bahamaland. Taxes are going up in every nook and cranny and on every living being in our Bahamas. Social Security Tax is in full swing. The poor man is getting taxed to death, and the rich and famous is getting off the hook. These taxes are geared towards protecting the coffers of the special interest, and the chosen few. Everybody and they ‘mah’ paying more into the social security scheme so that the “raiders” could have a coffer to deplete as they see fit, while Board goes on exotic retreats in plush hideaways, with some in management orders expensive Fiji water. We can now confirm a decision orchestrated by the Board, has been put in motion to frequently come around, hound and shakedown struggling business owners all across the Bahamas, and here’s where our story begins. 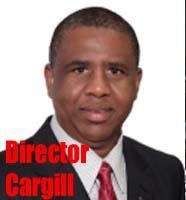 Bahamas Press has learnt the Board headed by, Algernon Cargill, has ordered the collections department officers to go after small businesses whether their accounts have been served notice or not. We are told the legal department within the Scheme has severed scores of business owners summons to appear in the courtroom of Carolita Bethel. The poor and struggling under the weight of an OPRESSIVE FNM GOVERNMENT! 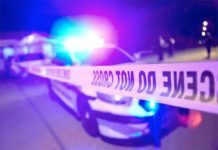 In one recent case, BP was shown how an action by NIB was taken out against a business owner, who had no idea she was delinquent in payments to NIB. In her arguments before the magistrate we noted not only was she never requested of NIB to comply with any concerns of the Board, but court details reflects the woman was never served any formal notice by the Board that payments were outstanding. How did that happened? And who is it that is selecting these target businesses to be hounded and dragged before the courts? Sources in the legal department tell us, the Board has requested agents to target businesses, whether they owe NIB or not and serve them a 14 days notice to appear in court for failing to adhere to the Boards demands. We are told agents at NIB were informed, whether the business had been served formal notices or not, they are to serve court actions against targeted small business operators and a formal reward would be granted to inspectors targeting such; WHAT MADNESS! Why are these people trying to kill off small businesses and who has ordered this economic massacre at a time when these small businesses can hardly find two pennies to rub together? Who is it that is hiding behind Mr. Cargill and the Board and what is their motive? 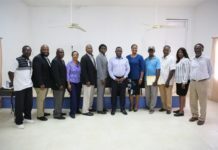 In this latest incident we are told Bethel warned NIB that this was the third such case entering her court where the business owner had admitted to have never been served any request, and where NIB reps. admitted in court the client was indeed not served any notice to clarify any concerns by the Board. So why the scare tactic and who has ordered it? 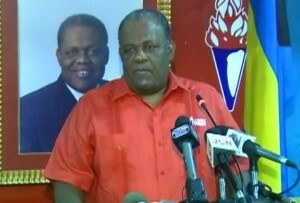 Prime Minister Hubert Ingraham the man leading the Tax and Spend FNM Government of FAILURE! What this amount to be is another naked abuse to scare and bully small businesses into paying money which is not owed. The WICKED assault by the Board at a time when these small businesses are struggling to keep their doors open is ‘Hitlerish’ to say the lest! 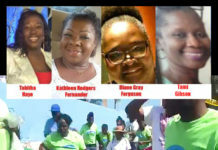 Bahamas Press has learned that many of these operators are just taking the sacrifice to keep their doors open in order to save employees from being thrown out onto the streets; Because God knows there is no money being made in these terrible economic times. Good-hearted small business owners are trying to keep their doors open even though they are not making a profit. So it is troubling to see how this WUTLESS OUTGOING tax and spend FNM Government exercises such insensitivity; driving small business to a scary reality to close doors and FIRE WORKERS! A certain Road Paving Construction COMPANY is having a field day and racking up millions of dollars; collecting certain construction companies are cherry picking the lucrative public sector and private sector jobs for themselves. Meanwhile, the Government is bending over backward crafting legislation that is required to give these same special interest groups and their families loaded opportunities [THE PORT]. But in a surprise attack, the assault on small businesses and budding entrepreneurs are holding ticking bombs, mine fields, and orchestrated hurdles placed in front of them so that their business can limp to a point of failing in these enormously tough economic times. Boy, We need Change! We are told inside inspectors are advised the more people they prosecute the faster they would ascend up the ladder. No one can deny what is happening at NIB and the results are simple; more struggling business owners are suffering at the hands of the FNM. As we said earlier, what is the political agenda, and who in their right mind has ordered these government workers at NIB to wreak havoc on the small businesses and our budding entrepreneurs? Inquiring and concerned minds want to know! Next articleZHIVARGO LAING: A MINISTER THAT’S OUT-OF-TOUCH !! THIS “PLOT” FOLLOWS ON THE REALIZATION THAT THE POPULATION SIZE OF THIS COUNTRY HAS BECOME TOO SMALL TO ACCOMMODATE THE NUMBER OF BUSINESSES AND ASPIRANTS IN THE PIPELINE. THOSE WHO HAVE BEEN HISTORICALLY SUCCESSFUL ARE FEELING THE “PINCH” (JUST PASS BY PHILS FOOD CENTRE, THEN DRIVE PAST ANY BRANCH OF THE TRADITIONAL LARGE FOOD STORES AND YOU WILL SEE FIRST HAND WHAT I MEAN – IN TERMS OF HOW CONSUMERS ARE NOW TRENDING). WHAT’S THEIR SOLUTION? GET MANY OF THESE SMALL BUSINESSES AND ASPIRANTS OUT OF THE EQUATION AND THEREBY REDUCE THE NUMBER OF COMPETITORS IN THE FIELD OVERALL. DO YOU OR SHOULD YOU EXPECT AN ADMISSION OF THIS, OFFICIALLY? HELL NO! THIS IS WHAT IS LABELLED AS A “CLANDESTINE OPERATION” AND THE UTMOST LEADERS ARE FAR ENOUGH AWAY TO PRACTICE PLAUSIBLE DENIABILITY SHOULD THE SH** EVER HIT THE FAN. REMEMBER, THE PARTIES GET THEIR MONEY FROM “THOSE FOLKS” (RUPERT ROBERTS OF SUPER VALUE ADMITTED TO SENDING THE FNM A MONTHLY CHECK DURING AN INTERVIEW ON 102.9 ISLAND FM DURING THE HEIGHT OF THE BLUE HILL ROAD PROTEST) NOT US, THIS HELPS TO EXPLAIN “WHY” ALL OF THE CONSTRUCTION CONTRACTS ARE GOING TO “CERTAIN” COMPANIES AND PERSONS AND WHY ONLY CERTAIN BUSINESSMEN (ONLY NEW CAR DEALERS) WERE ABLE TO SECURE MEETINGS WITH THE HUBERT INGRAHAM AND HAVE THEIR “CONCERNS” IMMEDIATELY ACTED ON. ITS’ CALLED “QUID PRO QUO” AND THOSE UPCOMING GENERAL ELECTION CAMPAIGNS (GRILLS, BEERS, FOOD, MUSIC, TRAVEL EXPENSES, TEE SHIRTS AND HATS) MUST BE FUNDED BY SOMEONE (KNOW WHAT I MEAN). YOU AND I CAN JUST CALL IT CORRUPTION. Storm, it good to have persons like yourself on the site who always seems to have the right prospective on things. I truly believe in this theory, in fact I find most of your comments valuable and well thought out. I find it quite hilarious the story actually starts at the 8th paragraph. You guys should be on tv. I can feel the overly dramatic emotional outpouring by just reading it! LOL. Keep going I say. There are really no encouragement for the small business persons in this country. You would think a sensible government would try to encourage more and more persons to become their own bosses and to hire others which would lessen some of the burden of the government having to assist them, but instead it seems as if everything they are doing are designed to destroy ambitions and dismantle small businesses. Which is actually very sad. Boy do we need change. It is such circumstances that tell all that “When the PLP ascends to Governance there is some much to do”, It is because of such wicket dictates that many who now sit in seats of authority and is seen victimizing Bahamians must be move from these all power decision making positions. It is believed that failure to act appropriately during the last period[time], gave reason for much disappointment and ultimately change came. But going forward this must become our motto, “those who now deal uncharacteristically must vacate”, allowing the fundamental principles of the incoming Government to stand, it is known by all and sundry, the PLP has always been the friend of the POOR, this Government have demonstrated although it was spoken that Perry Christie was never one of the down trodden, but being one of the down trodden appears to make one subject to the Masters who are classified as being the Bay Street, Eastern and Far Western persons, I agree it is not long now….. I outlined these see factors and concerns in a post addressed as a response to Kim Sands on Saturday past, but you referred to it as “run on BULL…” So what it is this from YOU now, on the Monday morning following????? I can confirm that the attack on small businessess in taking place in Abaco. Scores of small business owners were hauled before the magistrate in Marsh Harbour. 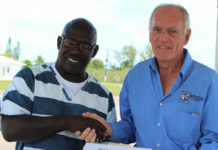 Cargill sent Mr. Quincy Russell to target business owners in Abaco, and the result is havoc. Some see no alternative but to close their business, lay off staff or even leave the country. Meanwhile it is useless to ask NIB for information – they don’t co-operate with the public.